In the midst of the pre-holiday season slowly creeping up on us, there are a majority of us out there who are stressing to find the perfect gift for the special individual. Then, there are those who give similar gifts every year and want to give something different this year but have nothing in mind. Give a truly unique gift of a Bonsai! Not only is it an art of beauty but it will always leave them thinking of you every time they look at it. Worried whether or not they will be able to take care of the Bonsai? 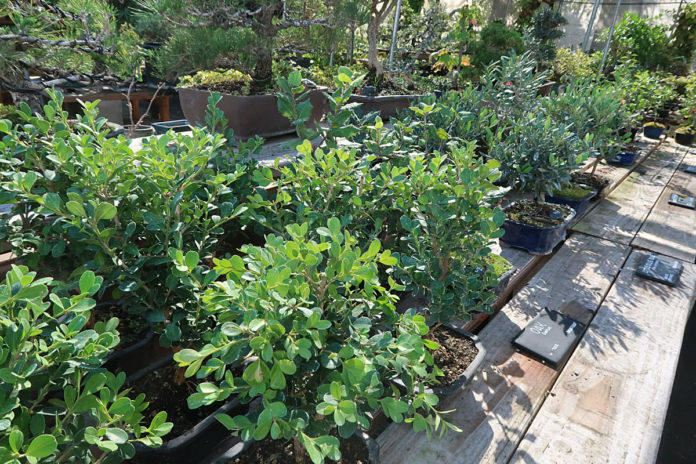 Don’t worry we have a vast selection of Bonsai for every individual at any level. For people interested in a minimal maintenance bonsai, we recommend Boxwoods and Ficus bonsai trees. Both of these Bonsais require minimal watering. Boxwoods and Ficus bonsai trees are a great decorative bonsai for the preoccupied recipient. However, for those who are beginners or those interested in starting bonsai as a hobby, Elms, Junipers, and Flowering Azaleas would be most suitable. These trees require basic care, including daily watering and maintaining basic light levels. Chinese Elms trees are most prized for their foliage and trunk shape and textures. 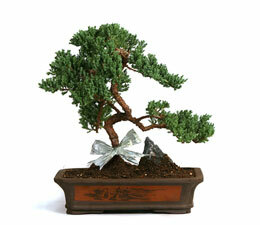 Junipers are the most popular bonsai variety and the traditional species associated with Bonsai. Flowering Bonsai can add a touch of extraordinary beauty with its blooming flowers twice a year. Our unique trees are great for the experienced Bonsai cultivator. We ship the exact tree pictured when purchasing a unique tree. This way, the recipient can start with a general shape and carefully train and prune them further. Hopefully this will help guide you to purchase the perfect bonsai depending on the recipient’s lifestyle and preference. If you have any other questions, do not hesitate to call us. Happy Shopping! Previous articleCelebrating Five Years of Eastern Leaf!